Celebrate the chill in the air, the smell of a campfire and quality time with friends and family. 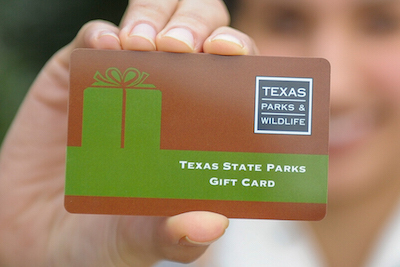 Let Texas State Parks add something special to your winter holidays. Join us for an event, or choose from these unique gifts. 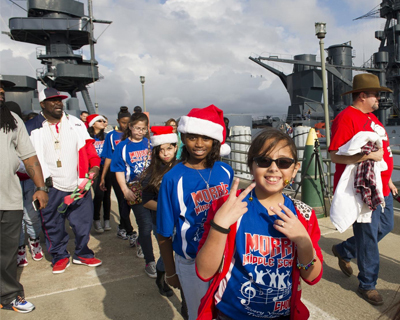 Your state parks are dressed up in their holiday finest with wreaths, lights, luminaries and more. See all events on the holiday calendar, or pick up a brochure at your nearest state park or Texas Travel Information Center. Enjoy a candlelit tour, take a jolly walk with Santa, or spend your solstice outdoors in nature. Try your hand at a craft project, taste a delicious holiday cookie, learn to pull taffy, or demo some Dutch oven cooking. The list goes on! This year's ornaments range from the delightful dunes at Monahans Sandhills to the famous frontier-era structures of Fort Richardson to the eponymous signature species of Palmetto! Get yours starting December 3 for $8.95 each or $19.95 for each set of three (plus tax, shipping and handling). Buy by phone at (512) 389-8900. Learn more about new ornaments here, or see designs from past years. Redeem these gift cards for park passes, entry and overnight fees, in-store purchases and more. 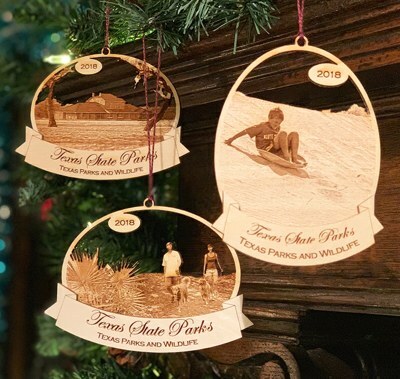 Only in December, buy a Texas State Park Gift Card valued at $75 or more and get a 2018 ornament FREE! Tax, shipping and handling still apply. Buy by phone at (512) 389-8900. 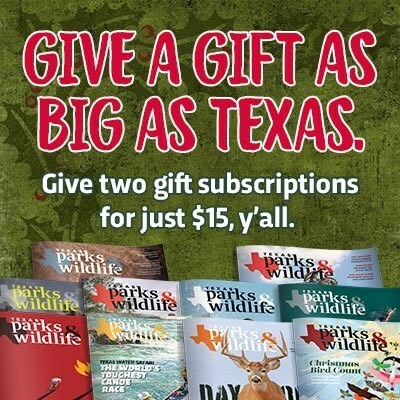 Give two gift subscriptions for just $15 and have a happy done-with-shopping holiday. FREE Hunting and Fishing Guides. Add iPhone, iPad or Android for just $3 more!